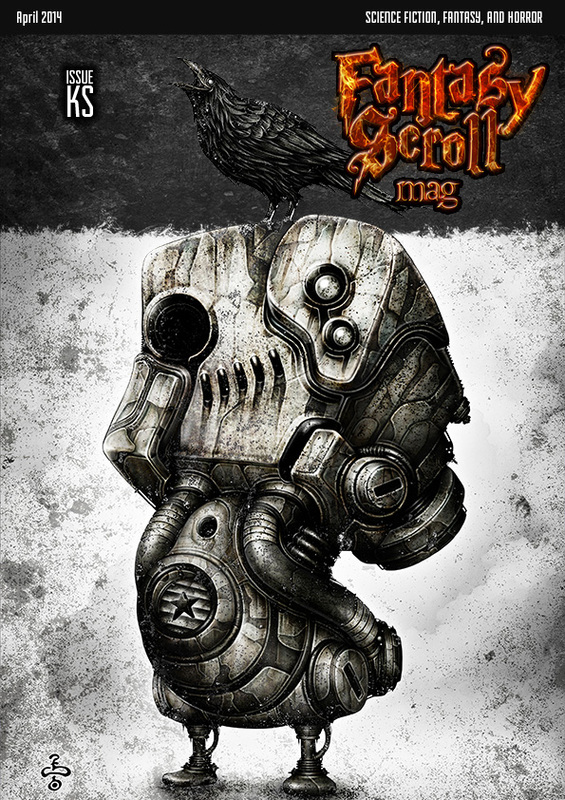 Fantasy Scroll Magazine is a new semi-pro market launching later this month. My story “Seven Conversations in Locked Rooms” is in the first issue line-up, along with many other authors. I interviewed the zine’s editor-in-chief Iulian Ionescu. When does the first issue of Fantasy Scroll Magazine launch? What sort of publishing schedule will you adhere to? In our first year we aim to publish four quarterly issues, with the first one scheduled for mid-April. As a fledgling publication we didn’t want to stretch ourselves too thin in the first year; we want to establish a good process, a steady readership, and grow our presence in the social media. We want to analyze the data from year one and use that to tweak our efforts in the years to come. During the following years, we will focus on growing the number of issues, hoping to get to a monthly publication by year three. This is a conscientious decision that works hand-in-hand with our other goal, which is to become a pro-market who can pay writers what they deserve. 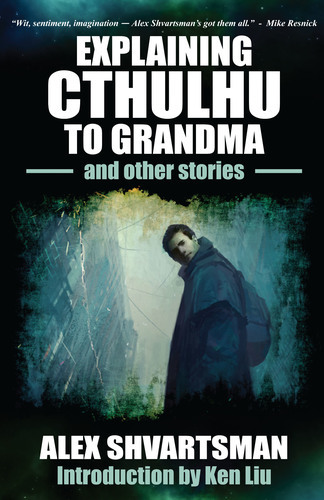 I am also planning to issue an annual anthology containing the best stories from that year, and the proceeds from those publications will be used to achieve the goals above. What niche do you expect Fantasy Scroll to fill among the speculative markets? What will make a Fantasy Scroll story different from what’s being published elsewhere? I actually don’t want this magazine to be labeled into a very narrow niche, and that’s not to say that we won’t be focused at all. I gave a lot of thought to the magazine’s mission statement, and it came to me after many nights of staring at the blank ceiling at night. The mission statement says that the magazine will publish high-quality, entertaining, and thought-provoking speculative fiction. Second of all, we want these stories to be entertaining. I want to publish something that can drive lovers of speculative fiction to turn off their TV, shut down their Facebook, and sit down to read just because they enjoy it. And when they’re done, I want them to call their friends and tell them how much they loved it. If I can accomplish that, then I’ll call this magazine a success. Lastly, we are looking for thought-provoking stories, the kind of stories that linger in your brain long after you’ve done reading them. I want people to feel the same way as ten-year old me felt when I first read “The Invisible Man,” and for days and nights I kept thinking what if?, is it possible?, can it be? If I could turn this upside-down, I’d say that my goal is to publish stories that entertain, make you think, and touch the soul on an emotional level – and that is what I call a quality read. During our Kickstarter Campaign, in order to entice the readers and let them know about the kind of stories they would see in our magazine, we launched a teaser issue that includes two sample stories. I invite you to read them. Despite the magazine’s name, you are open to science fiction. What about horror, slipstream, any other stories that can’t be strictly defined as SF or fantasy? In the magazine’s description I declare that we accept fantasy, science fiction, horror, and paranormal stories. This really opens it up to a very wide area of speculative fiction. I think the most important aspect here is the speculative element. I want that to permeate the story – I don’t want to have a regular story where an alien pokes his head at the end and says hello. The unusual must ooze from the story. This, of course, puts a hold on some of the horror stories, because I am definitely not looking for the next Texas Chainsaw Massacre story. What’s funny is that I LOVE and enjoy watching gory, slasher movies, partly to annoy my wife, but I truly HATE reading those stories. Just to show the confusion that exists among writers as well: I’ve seen a lot of stories in our slush that were qualified by the writers as horror, but I considered them dark fantasy, and stories that were qualified as fantasy, but I considered them pure horror. I definitely accept slipstream; I actually like to see stories that nicely break the genre boundaries and take me to an unexpected place. The weirder the better. We recently accepted some stories that border literary fiction, but the speculative element was strong enough that we felt they were appropriate. Will you publish lighter or outright humorous stories? What sort of humor works or doesn’t work for your tastes? I definitely don’t want the magazine to be totally dark; there will be some humor sprinkled here and there. I enjoy humorous stories, like the kind included in your UFO anthologies. The problem I find with humor, and verified statistically through the magazine’s slush pile, is that good speculative humor is hard to write, especially when it starts to be stretched out. As a successful writer who published a lot of funny stories, you probably know this better than me, but here are my thoughts about it. Some of the funny stories we’ve accepted are very short—they made the point, made us laugh, and moved on. Those that started out nicely, but lingered on, trying too hard to be funny for a long time, eventually got nowhere. The problem is I like a story with a plot. What I’ve seen in some funny stories is writers mistaking being funny for plot. To have a truly funny story the writer has to do double-duty – the author not only has to create convincing characters that play in a good plot, but humor must also pervade through that somehow. At the end of the day, we are looking for high-quality speculative stories, and if they happen to be funny too, we’ll never say no. What’s your slush process? Will you read all the submissions yourself, or rely on slush readers? What is your estimated response time? I think any publication is as good as its team, and I am working with a nice group of professionals who read slush, provide feedback, edit, and proofread. I read a lot of the stories, and definitely all of those that pass the initial slush process. At the end of that process we have editors that work directly with the authors to make sure the stories are in the best possible shape for publication. Being a writer myself, I know how important it is to get a quick response from a magazine, and therefore I try to send all rejections as soon as possible. Our general rejection period has been about 10 days, and my goal is to shorten that even more. For acceptances the timing might be a little longer, especially if the stories require work, but I am doing my best to notify the writers that their story is in a shortlist. We aim to notify writers of their acceptance or shortlist within 30 days. How many stories or words of fiction do you anticipate publishing per issue? We started boldly with twelve stories per issue, or approximately 25,000 words (we accept lengths from 100 through 5000 words). The first year will be a market test for us as well. We’ll run reader surveys and polls, we’ll analyze the traffic and reading patterns of our magazine readers, and take the pulse of the social media. Based on these results, in the years to come, we will probably alter the content to match the market demand. One of our goals is to become a pro-market, so that analysis will also come into play when deciding how many words to include in future issues. You are offering a combination of original stories and reprints from established authors. This is a model several new publications have adopted, most notably Galaxy’s Edge. Is this a long-term plan for FS, or is it just the way to fill the early issues, with more and more original fiction in future volumes? We do accept reprints, but most recently we have restricted the reprints only to those that are not still currently available online for free. One of our core goals is to become a platform for new, unpublished authors, looking to launch their writing careers. From that perspective, our magazine will always include a majority of new, original content. But, being a reader and a fan of the genre myself, I see it as an homage to my favorite writers to be able to include their works in my magazine. I take pride and joy in sharing their work with our readers, resurfacing old works in front of new eyes. I think one of the hardest parts of editing a magazine is putting the pieces together, matching the stories inside an issue for the best overall experience. Grouping reprints and originals under one roof is a part of that process. Whereas we will continue to accept reprints, our emphasis will always be on original works. There’s lots of non-fiction scheduled for the first issue, such as interviews and reviews. Are you looking for non-fiction submissions too, or will that be handled internally? For the time being the interviews are conducted by me personally, and I intend to continue doing that for one reason only: I really enjoy it. However, I will open the gates to interview requests from writers and agents, and an acceptance will depend on our schedule and the nature of the interviewee’s work—it needs to somehow be related to speculative short fiction. As a last minute thing, I introduced one movie review and one book review per issue, and I’d like to continue doing that. So far, I am reaching out and requesting permissions to reprint, but in the future, I will probably open the submissions up to some of these non-fiction categories. This will not be our main focus, obviously, but I do see it as nice added bonus. Fantasy Scroll Magazine is currently on Kickstarter. Please check out their crowdfunding campaign!